I’ve interviewed Roseanne Barr a few times since her sitcom Roseanne went off the air in 1997, and I guess I held out some hope that she might change. In the art-vs.-artist debate, I tend to think people who do bad things can also make great art, but there’s always a line. I spoke to Barr again before the revival’s premiere in March, when its success was no sure thing, and she seemed chastened by some recent blowback to her tweets about Obama and Hillary Clinton. She even left Twitter, but only temporarily. Well, she just killed her show. ABC made the right decision in canceling Roseanne Tuesday, after Barr’s racist tweet. It was also the only acceptable one. Barr unconscionably drew on a shameful centuries-old slur against blacks to criticize Valerie Jarrett, a top aide to President Obama, exposing both racial and religious prejudice in the process. She’s been walking a tightrope since her return to her 1990s hit sitcom, celebrated for putting the focus on a working-class family, long neglected on network TV. Some condemned her return in advance, pointing to past experiences (and previous tweets) in which the comedian, an avowed supporter of President Trump, gave credence to horrible conspiracy theories. I was in another camp. I found many of Barr’s earlier comments repugnant, but I liked the idea of a show that reflected a family divided over politics and struggling financially. While early analyses tended to focus only on the family’s divided opinions about Trump, the revival was about much more than that, touching on important matters such as immigration, opioid abuse, gender identity, aging parents and religious prejudice. I thought it was worth the risk. Many viewers agreed, as the revival was an instant hit, making Roseanne TV’s No. 1 show, with an average of 23 million viewers. The characters and issues connected with viewers at a time when connections often seem impossible to find. It’s a sign of how devastating Barr’s tweet was that ABC canceled the show, even though this could have been the once-in-a-decade hit that can change a network’s fortunes. But Barr’s tweet probably would have scared away advertisers, if it hadn’t already, and ABC, owned by Disney, would have suffered long-term reputational damage by sticking with the series. But make no mistake: The network canceled Roseanne for the right reason. What she did was wrong. Nevertheless, it’s remarkable how corporations must be concerned with their behavior and the public’s response to it at a time when politicians sometimes aren’t. It seems that her success went to her head (again) and unfortunately, many of us can’t or won’t change. Once the show was a hit, she gave up the more modest tone. She lost more people willing to give her the benefit of the doubt when she tweeted that one of the Parkland, Fla., shooting survivors was giving the “Nazi salute,” passing along another despicable conspiracy theory. The signs were coming before the fateful tweet. Executive producer and comedian Whitney Cummings, a fan of the original series, left the show recently. 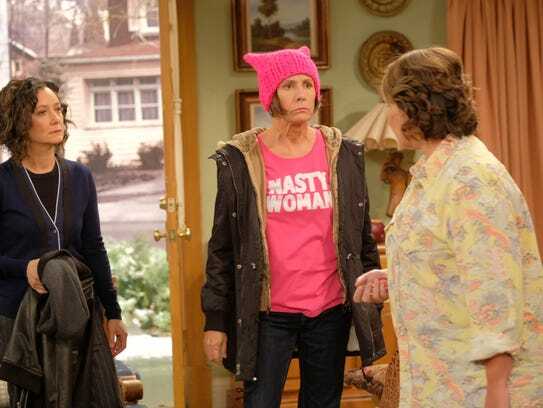 Many of its actors didn’t share Roseanne’s political views, but that was one of the great things about it. There was no one mindset, as there is in much of Hollywood. She probably felt she had a potent base — 23 million viewers, on average — and she could do what she wanted. Well, she can now. She just doesn’t have a TV show anymore. That’s a shame, and not only for viewers. 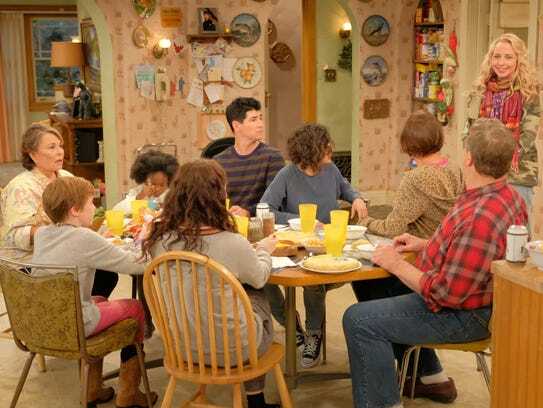 There are a couple of hundred people who worked on Roseanne, almost all of whom aren’t anywhere near as wealthy as Barr, and now they’re unemployed. And it’s another devastating blow to the Carsey-Werner Company, which has seen The Cosby Show, a groundbreaking 1980s series, tarnished permanently after the sexual assault conviction of Bill Cosby. Maybe I should have seen this coming after my first interview with Barr in 2003, when she was making a comeback with a reality sitcom about her life. She was trying to be a kinder, gentler person, saying the right things and even focusing on feng shui to get the mood right. After the interview, as I waited to leave, I could hear her in another room yelling either at or about an assistant. Sometimes, you just can’t change. 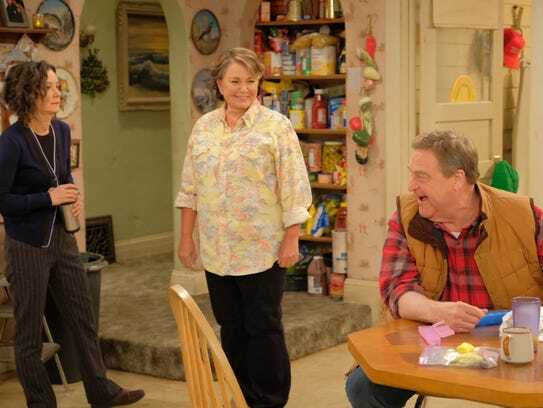 In its first finale, the series killed off Roseanne’s husband, Dan, but resurrected him without a fuss for the March revival. This time, Barr killed the whole show, and not even a miracle worker could resuscitate it.